Are you looking to take some of the stress off your hands this year of cooking a Thanksgiving feast for your entire family? 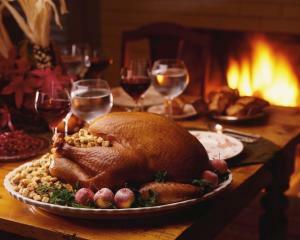 Here’s a list of restaurants in our area that are offering a special Thanksgiving menu November 26, 2015 where you can have all the benefit of a great dinner served to you and none of the clean-up later! Be sure to call ahead for reservations. The rustic Salish Lodge is a stunning location for a memorable meal with outstanding views of the Snoqualmie Falls and the river. Salish Lodge partners with local growers and farmers as well as produces and harvests their own “Honey from Heaven” infused in many of their dishes. This Thanksgiving the dining room will serve a 4-course feast with traditional and vegetarian options all prepared with seasonal Northwest flair. Adults-$100; Youth 6-12 $30; 5 & under are free. Served 12:00pm - 7:00pm. Reservations Required. Salty&apos;s Thanksgiving Buffet features traditional turkey fixings, prime rib, bone-in ham, four different kinds of stuffing and gravies, a plethora of fresh Northwest seafoods including an oyster station and Dungeness and Snow Crab sections, classic side dishes, assorted platters, several kinds of salads, freshly baked pastries and desserts and a chocolate fountain! Known for their premier Sunday brunch buffets, you&apos;ll be more than pleased with the bounty they provide to celebrate this day we give thanks. Adults $57, Kids 9-13 $26.50; 5-8 $18.50; 4 & under free. Reservations required by phone. 10:30am - 7:30pm. Enjoy a seasonal 4-course Thanksgiving menu at Copperleaf Restaurant located in the quintessentially Northwest Cedarbrook Lodge. Created by Executive Chef Mark Bodinet and his culinary team, the menu features items such as Yukon Gold Potato Gnocchi, Painted Hills Beef Short-Ribs, Mad Hatcher Roast Turkey, Spiced Pumpkin Panna Cotta, and more! Included is a complimentary champagne toast and Northwest wine pairings are optional with each course for an additional $25 per person. Adults $65, Youth 6-12 $32.50, Children 5 & under free. Served 12:00pm - 8:00pm. Basil’s Kitchen features Mediterranean inspired cuisine with Pacific Northwest flair. On Thanksgiving Day, enjoy 3-course specials including Prime Rib, Smoked Ham, Slow Roasted Turkey, Grilled Salmon, Chicken Marsala or Butternut Squash Ravioli along with their endless seasonal dessert buffet. Adults $28 - $39; Children specials $14.95 Served 11:00am - 8:00pm. Celebrate an American feast with an Italian twist at this downtown Seattle favorite. Served Family style in their festive atmosphere, enjoy a special holiday dinner with Sliced Turkey or Hickory Smoked Ham and Spicy Sausage stuffing as well as other Italian classics Beppo’s serves daily. $57.00 serves 3, $114.00 serves 6. Served 11:00am - 10:00pm. This Landmark restaurant is located next to Pike Place Market with a surrounding view of Elliott Bay. Their 4-course Thanksgiving menu includes smoked salmon dip, citrus, sundried-tomato and goat cheese salad, slow roasted turkey with apple-sausage stuffing, mashed potatoes, house vegetables, fresh cranberry relish and Cutter’s Pumpkin Pie. $39.95 Many items off their regular menu such as Prime Rib, northwest seafood choices, appetizers and desserts will available as well. Served 12:00pm - 7:00pm. Located near Westfield Southcenter, Claim Jumper is known for their rustic atmosphere and large portions, including your favorite comfort foods all year ‘round. 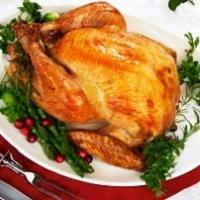 This Thanksgiving they will be serving a specialized menu with a variety of holiday choices including “The Feast,” an ultimate holiday combination of Turkey, Ham and hand carved Tri-Tip topped with herb peppercorn demiglace, served over stuffing with orange cranberry relish and roasted vegetables with your choice of pumpkin or lattice apple pie. $24 - $36 Served 11:00am – 6:00pm.